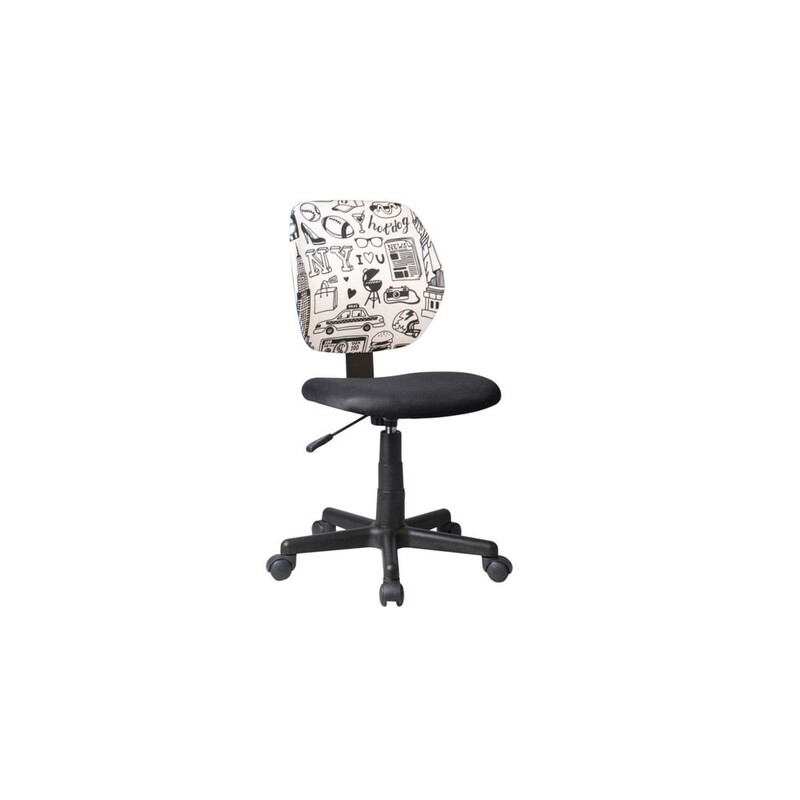 Office chair with black seat and backrest with a print. 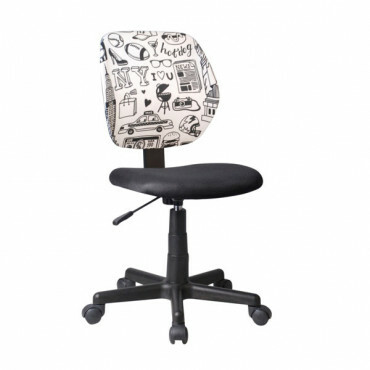 It is upholstered with quality fabric. The base in made of plastic in black colour. It is swivel and height adjustable. Max. weight capacity is 80 kg.